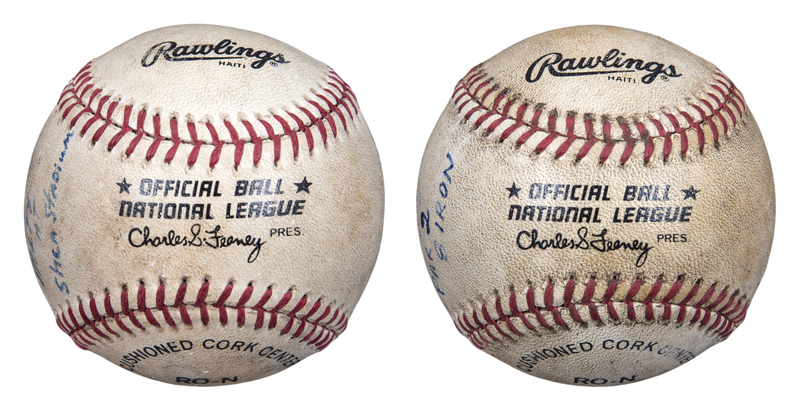 Offered here are two Official National League Charles S. Feeney baseballs hit by Keith Hernandez for a pair of home runs. 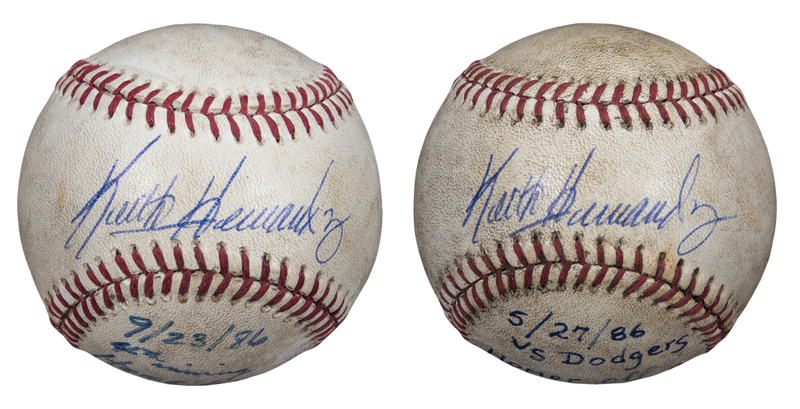 The first ball was hit for Hernandez’s 118th career homer, on May 27th, 1986. Hernandez hit this dinger off Alejandro Pena in the Mets 8-1 win over the Dodgers at Shea Stadium. 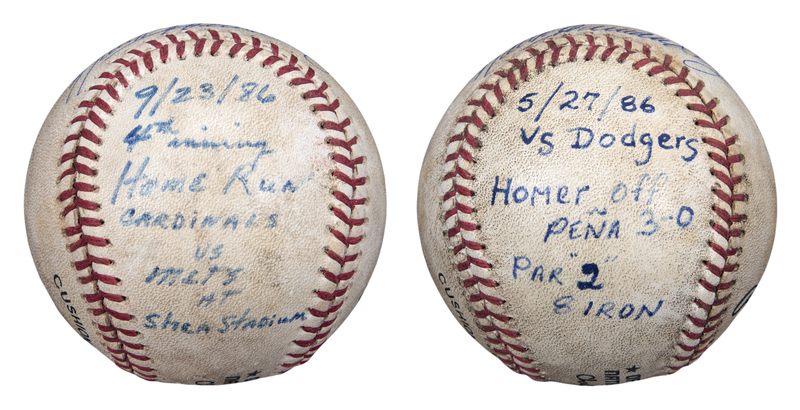 Inscribed on the south panel of this ball is “5/27/86 vs Dodgers Homer off Pena 3-0” and “Par ‘2’ 8 Iron”. Hernandez has signed the sweet spot of this baseball in blue pen. The second baseball was hit for Hernandez’s 128th career homer on September 23rd, 1986. Hernandez has signed the sweet spot in blue pen. On the south panel, an inscription reads “9/23/86 4th Inning Home Run Cardinals vs Mets at Shea Stadium”. 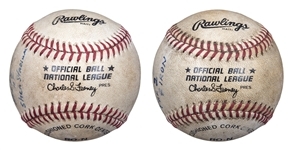 These two baseballs have been pre-certified by Beckett Authentication Services.